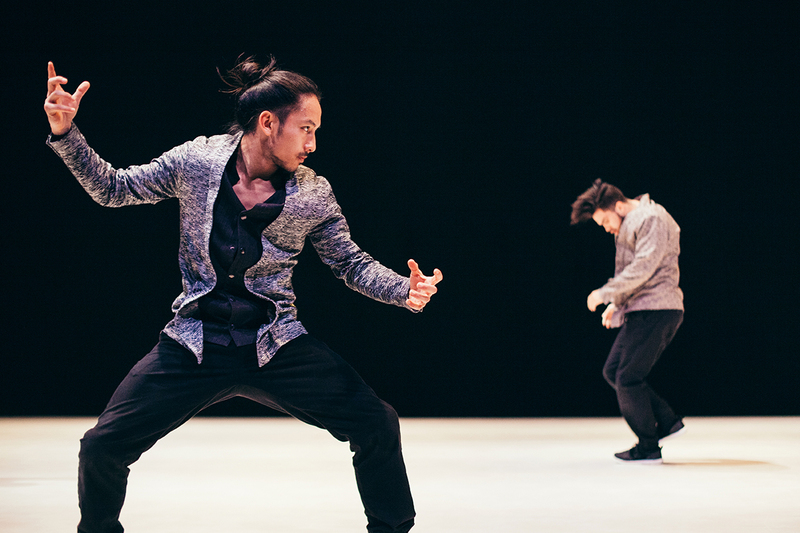 Anne Nguyen presents the eight breakdancers in Kata as the last remaining representatives of a warrior ideal, a code of honour that appears absurd in the present-day world. 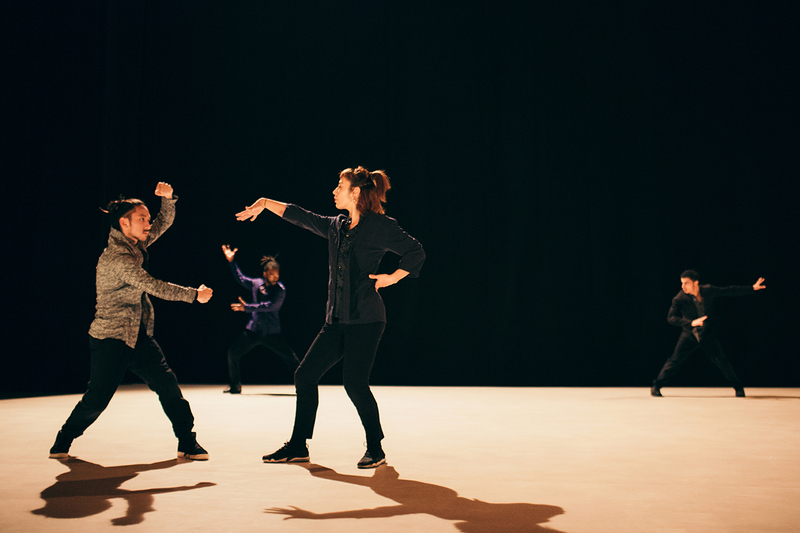 Bodies, engaged in martial arts type sequences, reach out towards fictitious opponents, who materialise only to give rise to fights played out in dance steps. 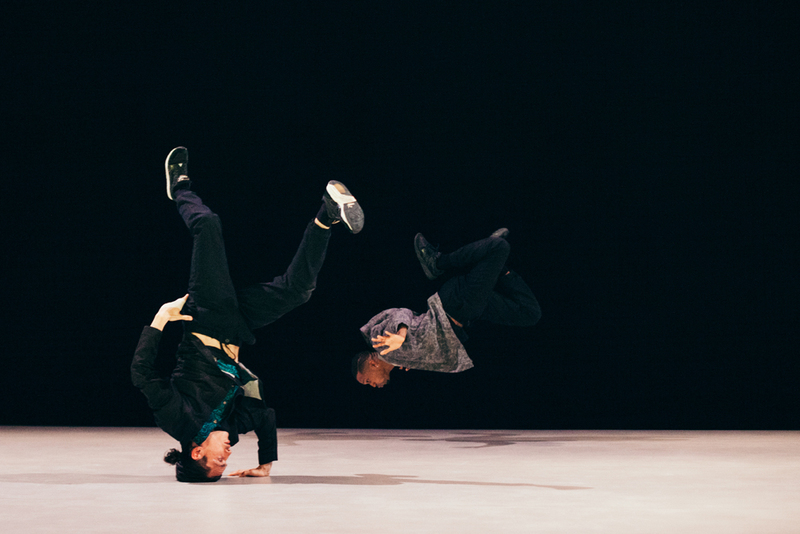 Each breakdance movement takes on a new meaning, transforming the dancers into modern-day samurai warriors. As seen in the kata of martial arts, the shapes they create and repeat appear to conceal hidden concepts. Gestures metamorphose into genuine battle reflexes adaptable to many situations. Beyond the search for martial efficiency, the sheer determination firing the dancer’s steps embody a kind of spirituality and moral attitude. By practicing their art, they hope to improve the self, develop their vital energy and reach a harmony with their environment. However, the world in which they move is suffused with a latent, mundane violence, building many barriers in the way of physical interaction between individuals and encouraging passivity. Although they step back from the paradox of their situation, the last remaining representatives of a bygone way disengage themselves from battles that are perceived as increasingly illusory. 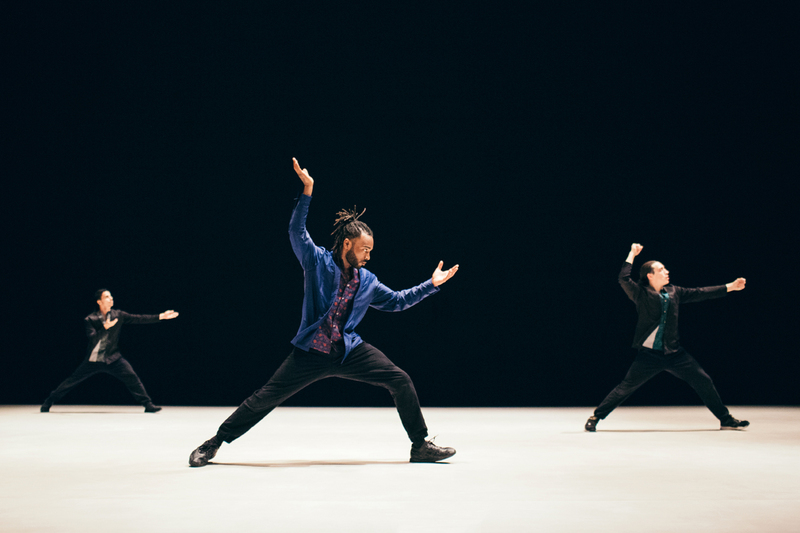 For her tenth production, Anne Nguyen continues her deconstruction of hip-hop body language, focusing on her preferred discipline of breakdance. “I am long practiced in the martial arts, especially capoeira and Brazilian jiu jitsu, as well as Viet Vo Dao and Wing Chun. One of the features of these practices is the relationship to the partner, which is one that involves physical contact. 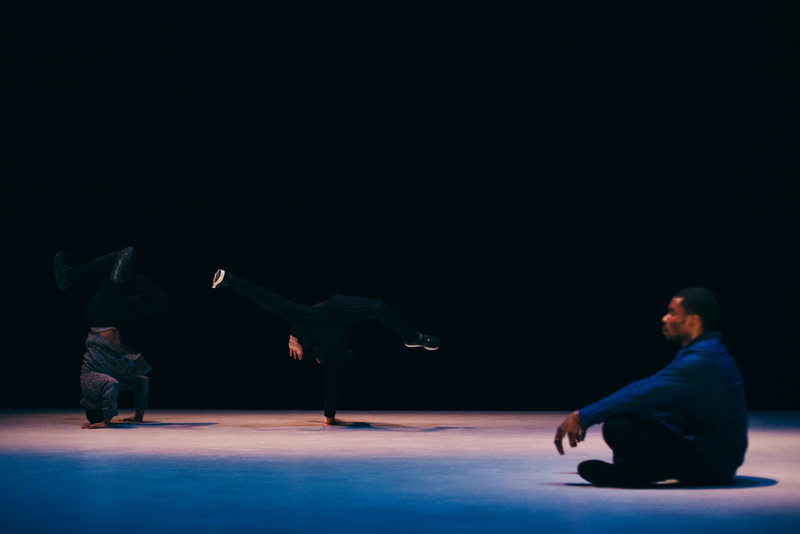 However, while contact with the floor is one of the basic principles in breakdance, personal contact with others is very under-exploited by hip hop dancers in general, the latter creating an empty space around them in which to dance within their “vital circle”. The contact with the floor, the relationship with the Earth, is one of the factors that prompted me to practice breakdance rather than any other dance style. Nevertheless, I greatly missed that contact with, and relationship to, a partner when I decided to stop martial arts to concentrate on dance. That’s why I now make it one of my main research goals as a choreographer.  I developed a series of technical exercises aimed at introducing contact into the dance moves, which are inspired by martial arts and mechanical principles. I try to bring together, confront arms, legs and bodies in a dynamic, circular fashion within a reduced space. It’s by means of this process that I create combinations of moves for several dancers. My capoeira teacher one day asked me to choose between capoeira and breakdance: I was improvising by adding weak or pointless moves to my fights. A strong urge to break the rules and seek beyond efficient, effective movement naturally propelled me towards dance. With Kata, I wanted to do the reverse: to start out with a dance form made of seemingly “useless” dance movements, i.e. breakdance, and discover the usefulness in every gesture, as if every breakdance sequence were merely a series of kata in training for combat. In Kata, I break down the centrifugal movements of breakdance into sequences of isolated gestures, and combine them with “useful” concepts within the meaning of the battle and the relationship to the other. 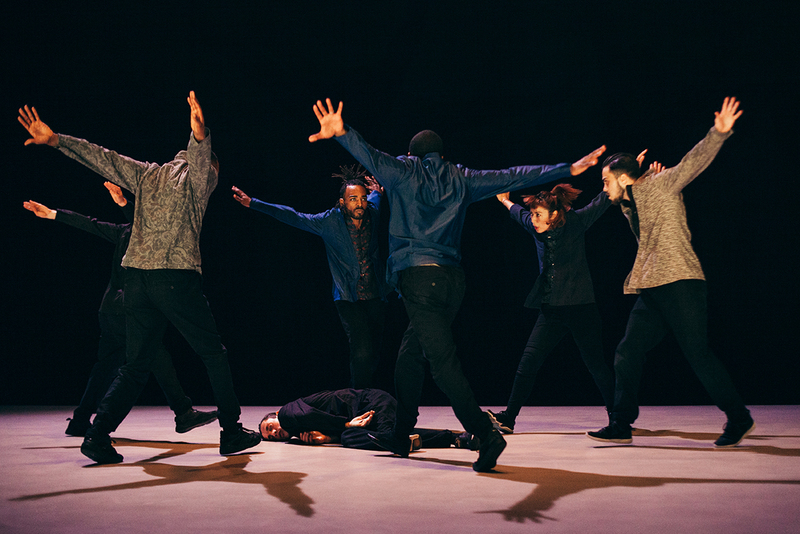 The eight breakdancers, either individually or within perfectly ordered formations, execute sequences of dance gestures aimed at imaginary adversaries, or confront one another in the form of danced battles. 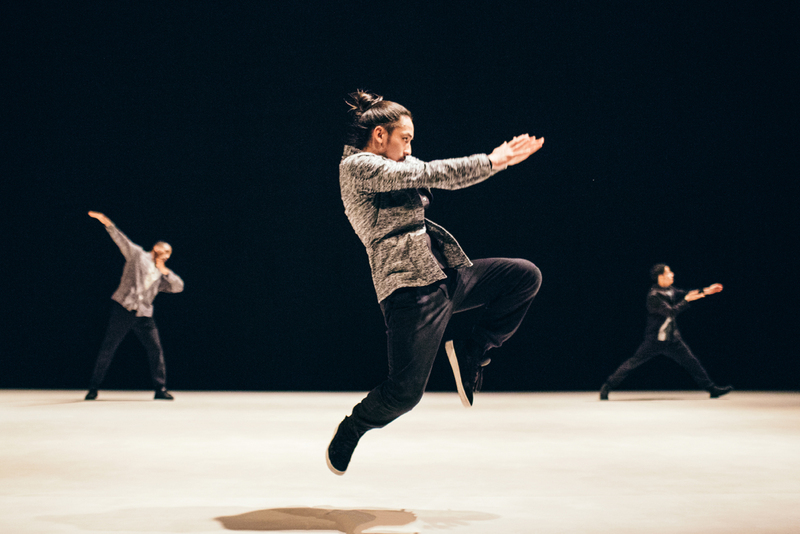 Attaques, blocages, esquives, intricate, complex battle scenarios are played out to the ebbing and flowing rhythm of the “fighters” on stage, channelling the warlike energy of breakdance. With the support of l’ADAMI. Coproduction: Chaillot – Théâtre national de la Danse; CND Centre national de la danse; Le Prisme – Centre de développement artistique de Saint-Quentin-en-Yvelines; Espace 1789, Scène conventionnée pour la danse with the support of Département de la Seine-Saint-Denis; Théâtre de Choisy-le-Roi – Scène conventionnée d’Intérêt National – Art et création pour la diversité linguistique; Scènes du Golfe, Théâtres Arradon – Vannes, Scène conventionnée. Thanks to AOI Clothings and Jean-Baptiste Matondo for the costumes. 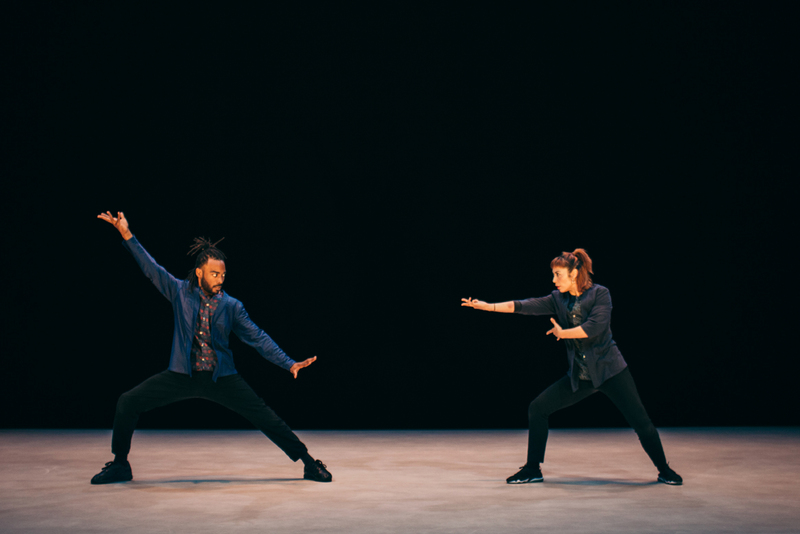 "An improbable, highly acrobatic encounter between some highly creative hip-hop and the ultra-codified kata of the martial arts scene, in a performance choreographed by an ardent follower of both genres, Anne Nguyen. 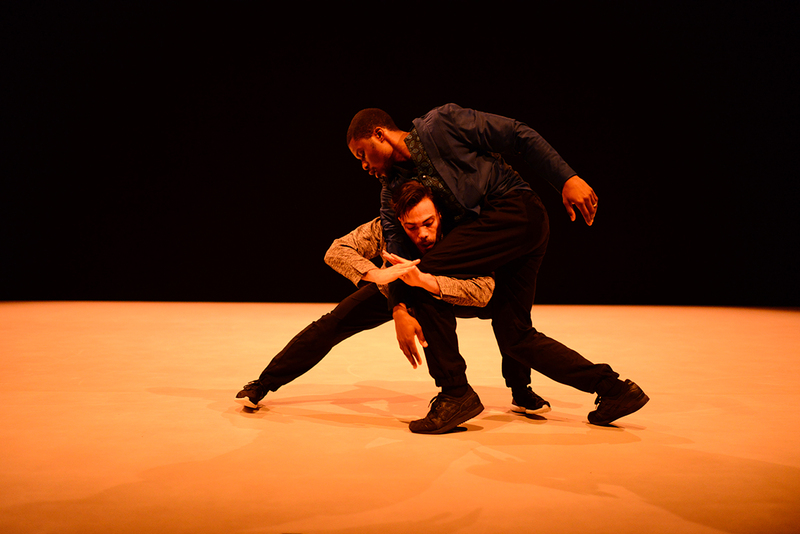 Out on stage, eight performers are buoyed aloft by a balletic dance informed by seemingly ritual-like, powerful, controlled, compelling gestures and surprisingly sensual combative moves in a spectacle that is as technically impressive as it is over-flowing with energy." "There is no gratuitous violence in these confrontations. 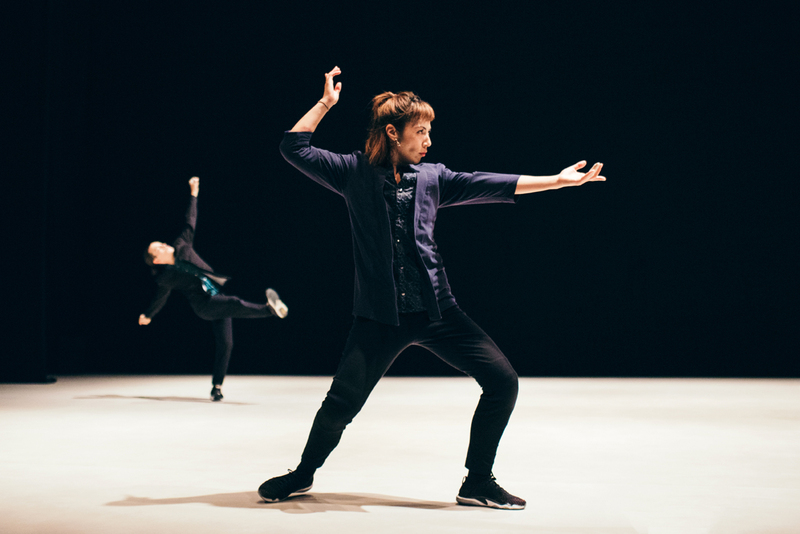 Against an obsessive percussive backdrop provided by Sébastien Lété, these face-to-face encounters are not so much a hand-to-hand combat tactic as a bizarre duet, given ample ballast by the dancers' expressive gestures. 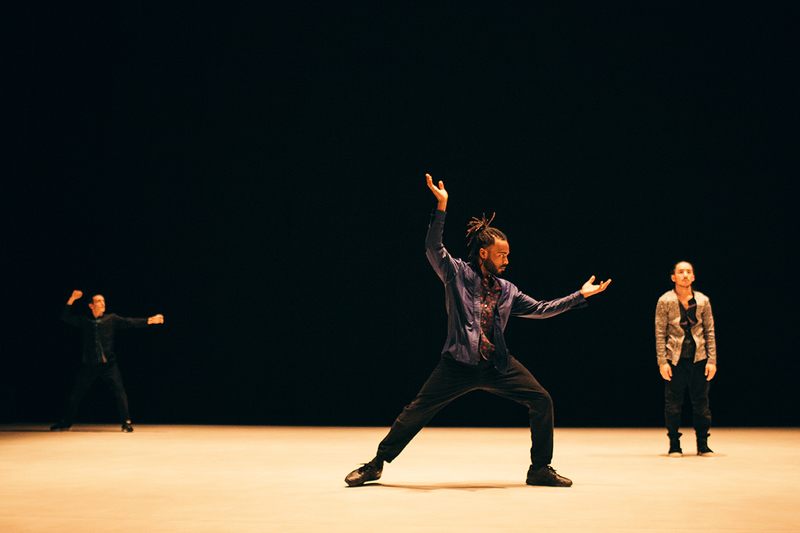 The performers' collective moves trace out on the stage a series of tremendously stylized, poetical diagonals. Feet glide effortlessly across the floor, arms are outstretched in the gesture of an archer poised with invisible bow, the eight dancers build a landscape of resistance. Virtuosos without being overly demonstrative, their gestural vocabulary is based on cleverly dissected breakdance moves that ultimately define a framework of kata sequences. 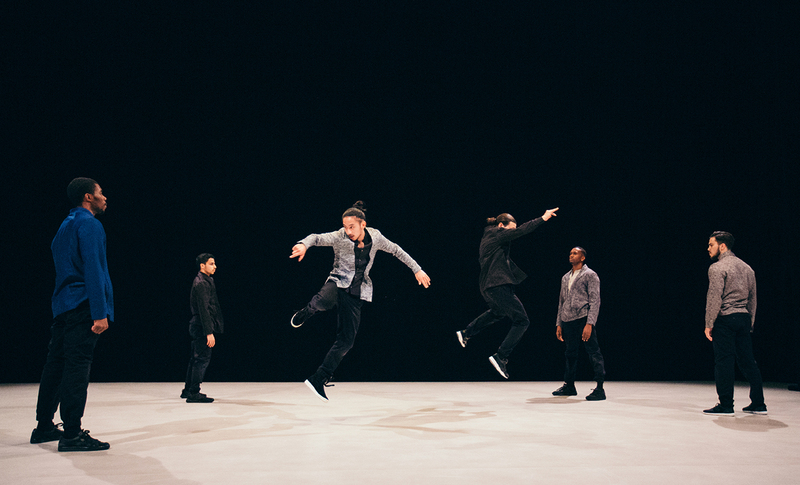 Their simple presence exudes a force, a highly thoughtful, accomplished driving rhythm to mirror the choreography."